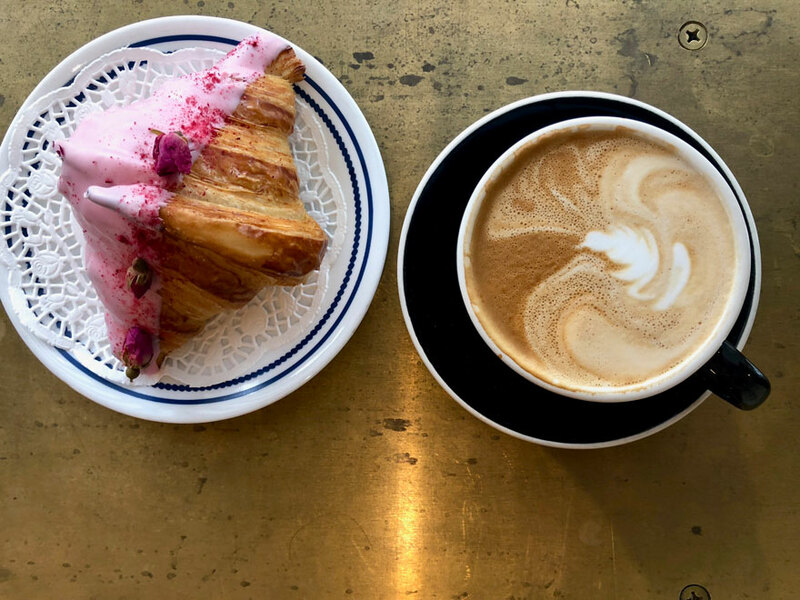 The Beverly Hills location of Alfred Coffee is quaint and has some interesting decor. They have their signature, “but first, coffee” neon sign inside and a mural full of hearts in various colors outside. 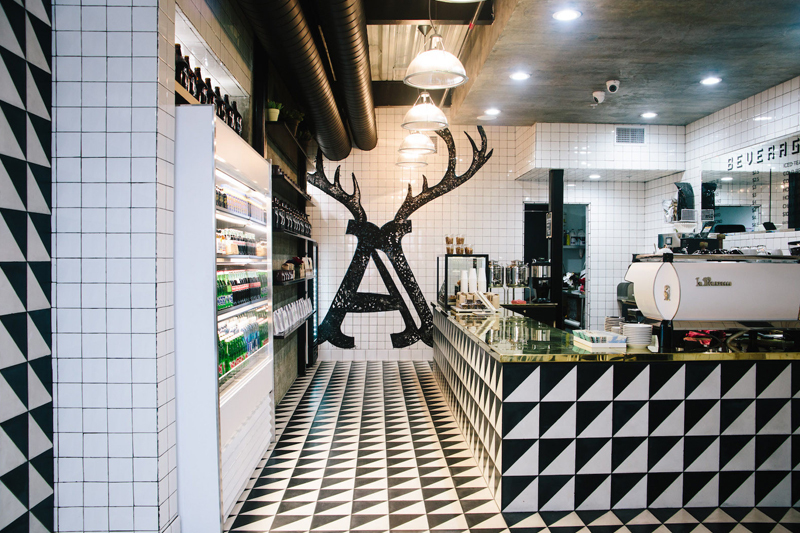 Alfred offers drip coffees, espressos, and lattes. On top of your standard coffee drinks, they offer delicious cold brew coffees, matcha green teas, and amazing pastries dipped in chocolate. Many celebrities like the Kardashians and Kristin Cavallari have been spotted at this location. Alfred Coffee is situated on the corner of Beverly Dr. and N. Santa Monica Blvd. While driving on N. Santa Monica Blvd you can see their mural of hearts and a big rainbow heart with a black and white smiley face. This is a great place to stop and enjoy coffee as you people watch outside or to grab a quick coffee on the go.